Look no further! Upgrades Galore. 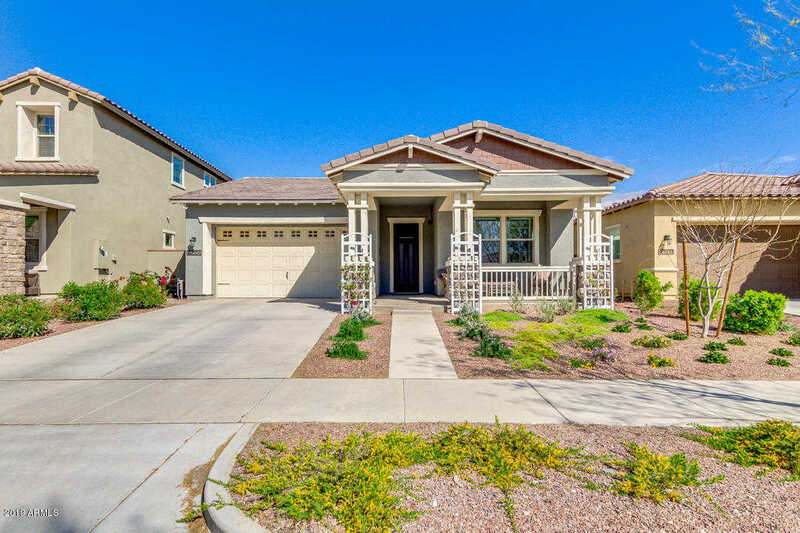 Nestled in beautiful Verrado, this beautiful Move-in ready 3 bed, 3 full bath property boasts a park view, desert landscaping, 2 car garage, expansive open floor plan, neutral paint throughout, and much more! The gourmet kitchen offers ample cabinetry with granite counter-tops, a walk-in pantry, stainless steel appliances including a wall oven,gas cook-top, and a lovely island complete with a breakfast bar. The grandiose master bedroom boasts a private bath with his and her sinks, as well as a spacious walk-in closet with laundry access. Entertainers backyard with its cozy covered patio, paved seating area and water feature, is perfect for spending a relaxing afternoon with friends and loved ones! Homes this great never last long! Schedule a showing today! Directions: Head north on Verrado Way, Turn right onto Legend Trail, Make a U-turn at Springfield St. Property is located on the right. Approximate size: 6320.00 sq. ft.